Zachary M. Norris is an associate in the Real Estate, Land Use and Environmental Practice Group in the Los Angeles office. Mr. Norris has a broad practice that focuses on land use, contaminated properties and civil litigation. His litigation experience includes successfully prosecuting and defending claims on behalf of corporate and municipal clients in both state and federal courts, including the U.S. Court of Appeals for the Ninth Circuit, California's Court of Appeal and the Supreme Court of California. Mr. Norris has secured orders in his clients’ favor on several motions in state and federal trial courts, including temporary restraining orders, preliminary injunctions, summary judgment motions, demurrers, and motions to dismiss. He also has substantial expertise in appellate practice, and has been the primary author on numerous appellate briefs. 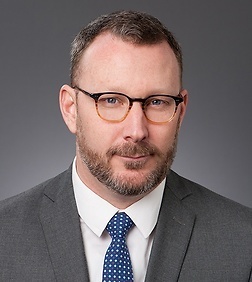 Mr. Norris works on various matters involving remediation of contaminated properties under the federal Superfund law and its state equivalents. He has defended potentially responsible parties and groups of potentially responsible parties against claims by federal and state governments as well as in alternative dispute resolution proceedings. Mr. Norris has negotiated dozens of indemnification, access, and remediation agreements to assist in the cleanup of contaminated properties, and has advised municipalities and development companies regarding redevelopment of contaminated properties. Prior to joining Sheppard Mullin, Mr. Norris worked for the Oregon Department of Justice, Natural Resources Section, on land use and planning under Oregon's Measure 37, a comprehensive stream adjudication for the Klamath River Basin, and timber harvesting on public lands. He also interned at the Federal Public Defender for the District of Oregon, assisting with trial preparation for federal criminal and terrorism cases. Before law school, Mr. Norris was a Teach For America Corps Member, teaching high school biology in Baltimore, Maryland. He also co-founded Youth Organizing Urban Revitalization Systems (YOURS), a 501(c)(3) micro-enterprise initiative in Baltimore.